SAN JUAN HARBOR, Puerto Rico (Aug 26, 2016)- At 7:42 a.m. on Aug. 17, a fire broke out on the vessel, the Caribbean Fantasy. The Vessel Response Plan was activated. The Caribbean Fantasy is covered under Ardent’s OPA-90, Salvage and Marine Fire Fighting “SMFF” coverage program. Ardent responded to the incident onboard the vessel. 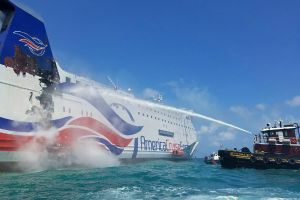 Prior to Ardent operations, the U.S. Coast Guard responded to the vessel, and successfully evacuated more than 500 passengers and crew members. “We did a dive survey of the vessel at sea, found that there was minimal damage to the hull, and brought her to port with the USCG’s approval. Our fire team then went onboard to extinguish the fire,” said Ardent Salvage Master, Guy Wood. McAllister Towing was one of Ardent’s OPA-90 partners that assisted in responding with two of their z-drive tractor tugs, Brooklyn McAllister and, Beth M. McAllister. 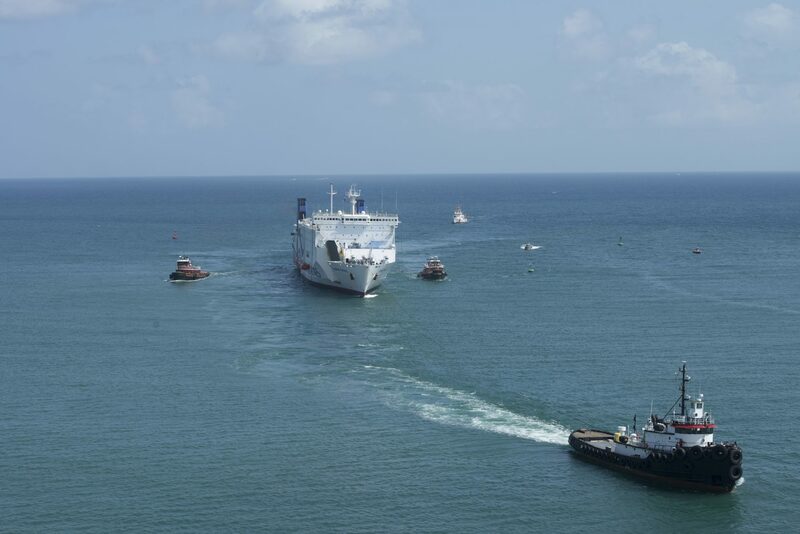 Puerto Rico Towing and Barge and Moran Towing also provided tugs for the operation. 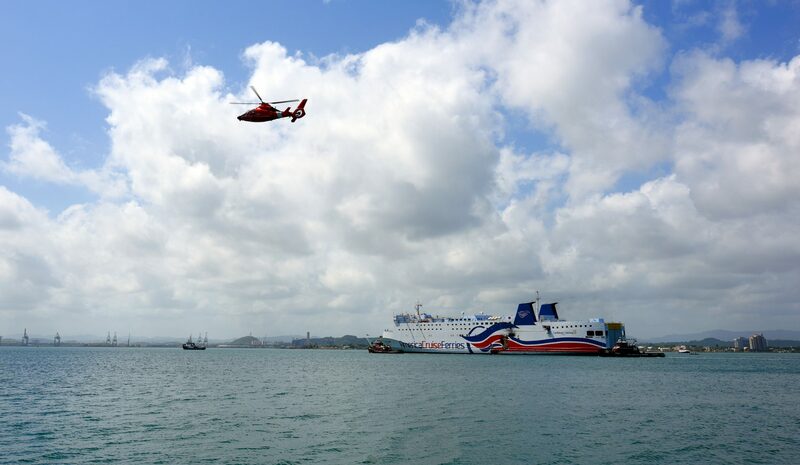 Ardent demobilized emergency response personnel and equipment one week after (Aug. 25) the successful operation, and handed the vessel back to the ship owner. “It was a smooth job. We berthed [the Caribbean Fantasy] at the port and implemented our heavy weather mooring plan, then returned the vessel to her owner,” said Wood. Ardent operates a network of dedicated marine emergency response capabilities worldwide. The salvage company has a strong history with unique marine incidents that require dedicated firefighting response activities. 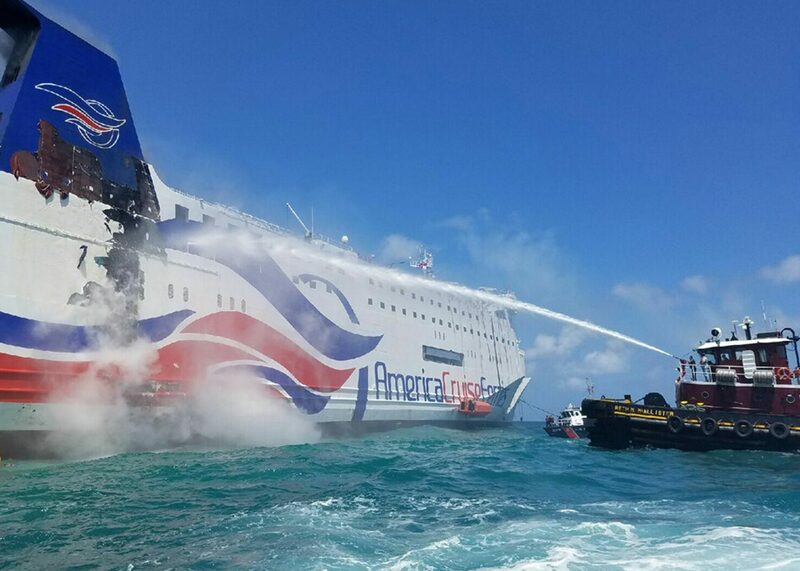 In 2015, Ardent staff responded to a vehicle and passenger ferry that caught fire near Mallorca, Spain, with marine firefighting, and salvage capabilities. 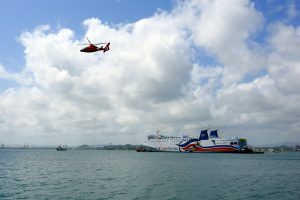 The ferry was safely towed back to port, and all passengers were safe. In the same year, Ardent responded to a stricken chemical tanker with flammable cargo under OPA-90 coverage in the Houston Ship Channel. Although a fire did not occur, the vessel sustained a breached hull. Ardent responders safely drained, and towed the vessel to port while keeping firefighting capabilities on standby. Ardent is your complete global maritime services solution. Ardent is a client-driven maritime services company that prides itself on innovation, calculated resource management, and a mind to minimize environmental impacts. We stand by our reputation and history of success in emergency management, wreck removal, and decommissioning.